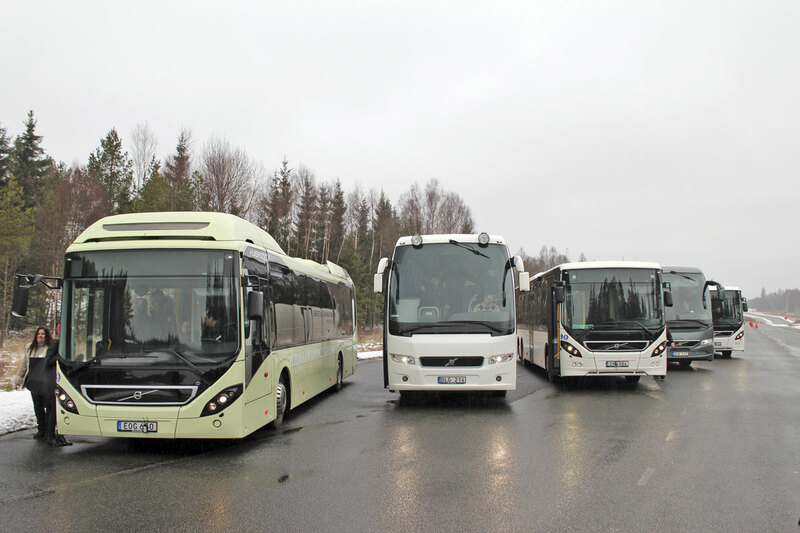 A variety of buses and coaches fitted with the equipment were made available to test on the track at Hällered. 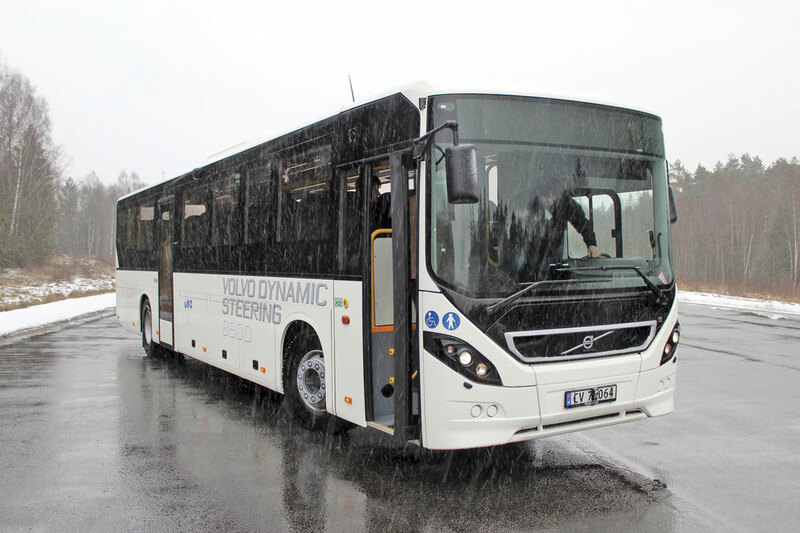 Following the 2013 launch of Volvo’s Dynamic Steering system on trucks, it has now been developed and launched for bus and coach applications with both rigid and independent front suspension. It is immediately available for all chassis and complete coach applications as European production switched in week 49 last year and will be offered on the 7900, 8700 and 8900 city and intercity vehicles later this year. This includes the 7900H Hybrid offered in the UK. It is not yet being offered for double deck applications such as the B5TL for reasons linked to the lack of space to mount the motor within the front overhang, although I am told this will come in time. It is also available on the 9800 coach for Mexico, which is a Euro5 product. To hear more about it and other issues facing drivers as well as to experience the system in action, journalists were recently invited to the Volvo test facility at Hällered near the Boras manufacturing plant. 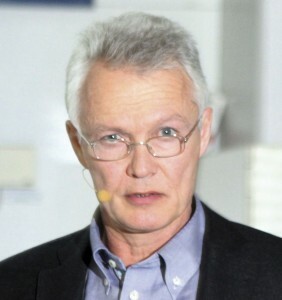 The aim is zero accidents, something that may be achievable in the future with autonomous vehicles, and Volvo is working toward that aim by focussing how to avoid accidents in the first place and, ‘developing vehicles with superior handling properties and advanced safety systems, supporting the driver to operate the bus in the safest way possible’. 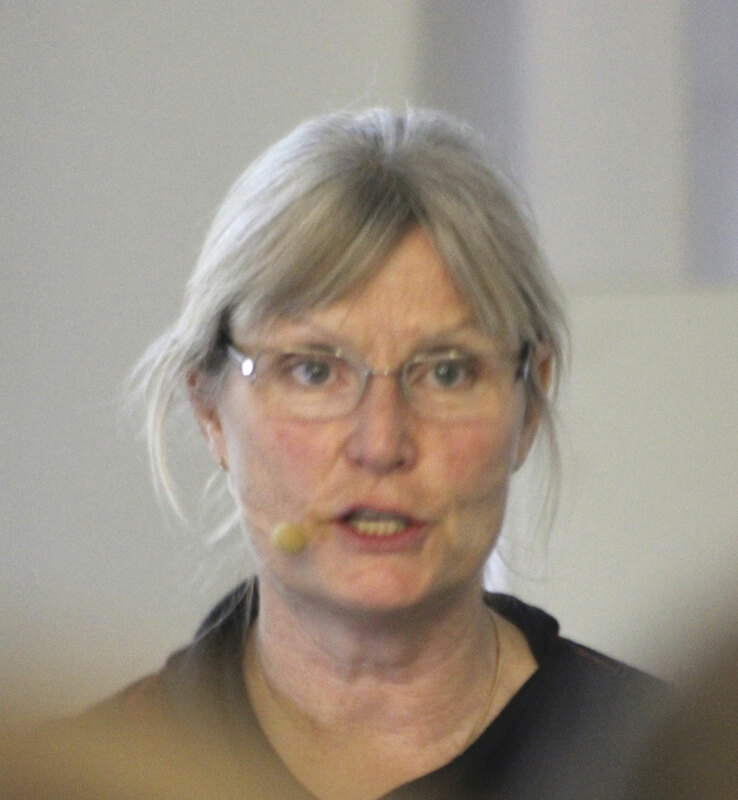 In a presentation on bus driver’s working conditions and wellbeing, Anna Anund, Associate Professor and Team Leader at VTI (‎The Swedish National Road and Transport Research Institute), reviewed some of the limited research carried out on the subject and concluded that driver fatigue is a major problem. A variety of variables contributed to this including working conditions, poor health and reduced sleep quality and quantity. Having earlier reported research that found an astonishing 45% of drivers admitted having to fight to stay awake while driving a bus between two and four times a month, she said this was related to high levels of sleepiness and overall stress. 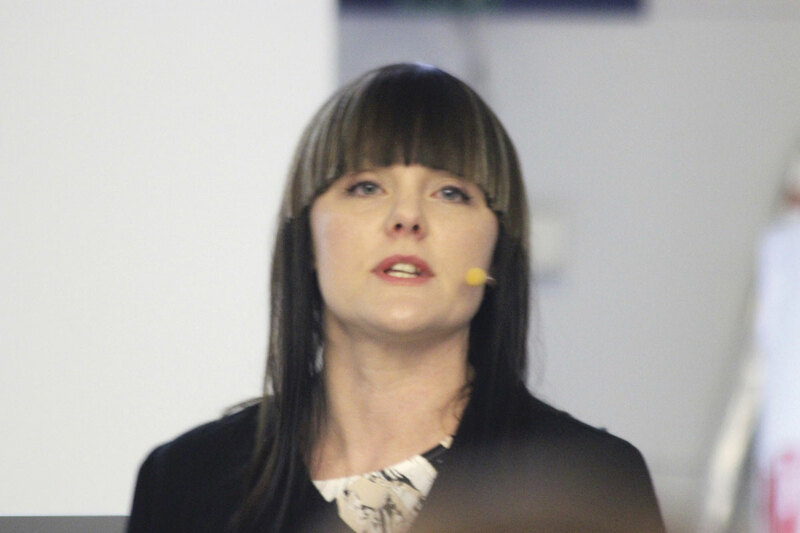 Emphasising that the bus was still a very safe way to travel, she believed it was important to take a holistic approach when considering drivers’ problem and what caused increased risk. Bus driver’s working conditions were both physiologically and psychologically demanding. musculoskeletal disorders were common, primarily related to lower back, neck and spinal pain. Among measures that could be taken to combat this were the reduction of vibrations through the driver’s seat, reducing the number of times the driver had to turn his back and neck during his work, the provision of power assisted steering and adjustable steering wheels, and providing knowledge on the optimum way to adjust the driver’s seat, back support and steering wheel to provide optimum support for the driver. 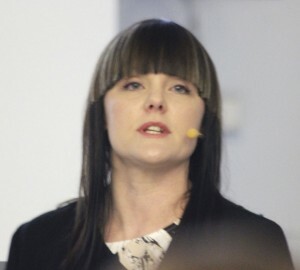 Maria Gink Lovgren, Feature Leader Ergonomics, Visibility & HMI (Human Machine Interfaces) for Volvo Buses, said that we wanted drivers to feel safe, in control, confident, relaxed, comfortable, happy, alert and strong when driving, but every driver was unique in the way they interpreted things, with a different anthropometric, gender, muscle and strength make up. Advanced active safety systems were provided to make drivers’ working environment safer, but they had to go hand in hand with intuitive and intelligent HMI solutions and passenger needs also needed to be considered. 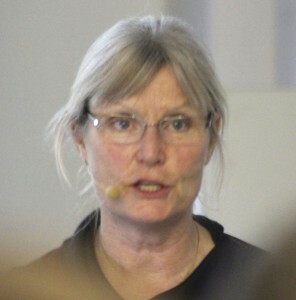 She explained that after an extensive research programme that included driver and operator feedback, the system successfully ‘allows a driver to contain a relaxed ergonomic position, even in demanding situations.’ With its self centring steering wheel, the system gave directional stability, required less force to operate it, created less tension in the muscles and reduced the vibration passed to the body through the steering wheel. 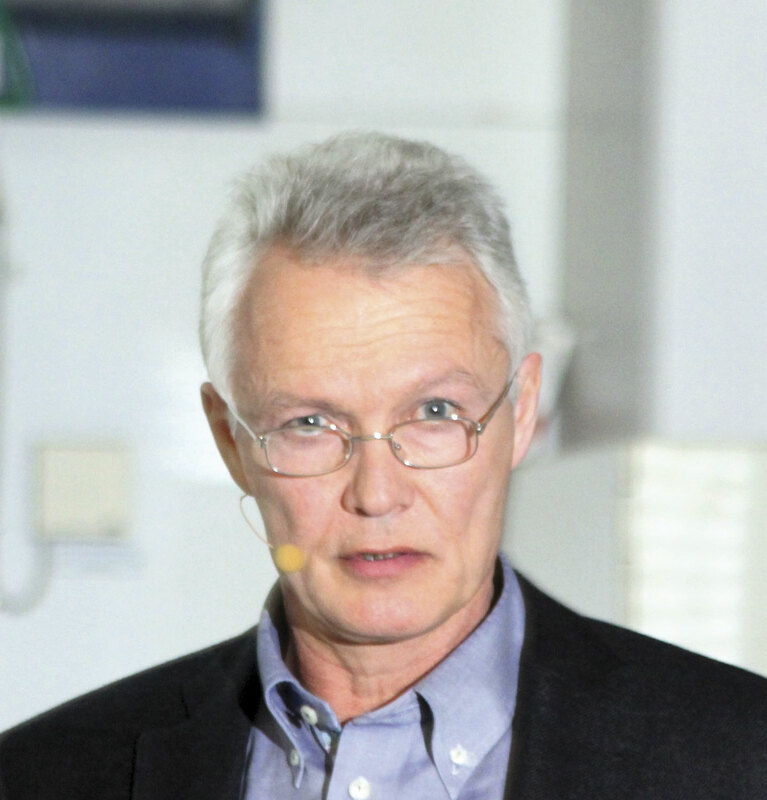 Peter Danielsson, Head of Vehicle Safety for Volvo Buses, pointed out that the trend in road fatalities in Europe was improving although across the world as a whole it was worsening. His department focussed on the development of safety solutions designed to prevent accidents and minimise injuries. The pioneering safety developments they made were based on insights and learning from real life accidents. New technologies, such as electrification, put new demands on safety development and Volvo worked with the authorities, suppliers and academia to find new solutions to better traffic safety. He said that Volvo Dynamic Safety (VDS) offered a safer and more comfortable ride by detecting irregularities and calculating the necessary compensation in order to give a desired, pre-determined steering ‘feel’ independent of load and tyres. At low speeds, an electric motor amplified the force to provide most of the power required for steering, thereby reducing the toll on the driver’s arms, back and shoulders. At higher speeds the increased directional stability creates a more relaxed driving experience. 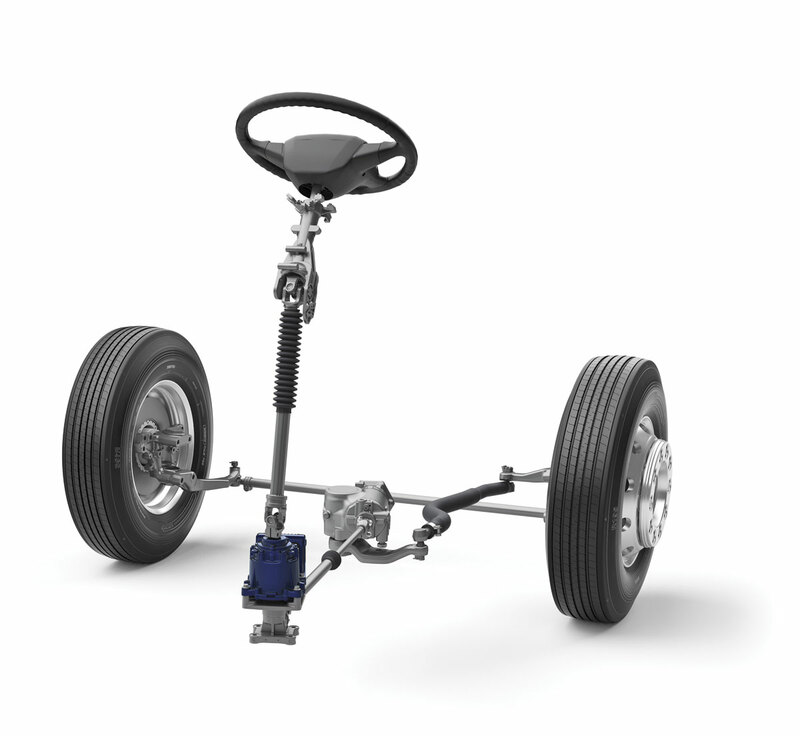 Peter explained that it worked using a control system and a powerful electric motor to assist the conventional mechanical steering system with a steering shaft linked to a steering gear and a hydraulic servo-system generating most of the power which the driver needs to turn the road wheels. 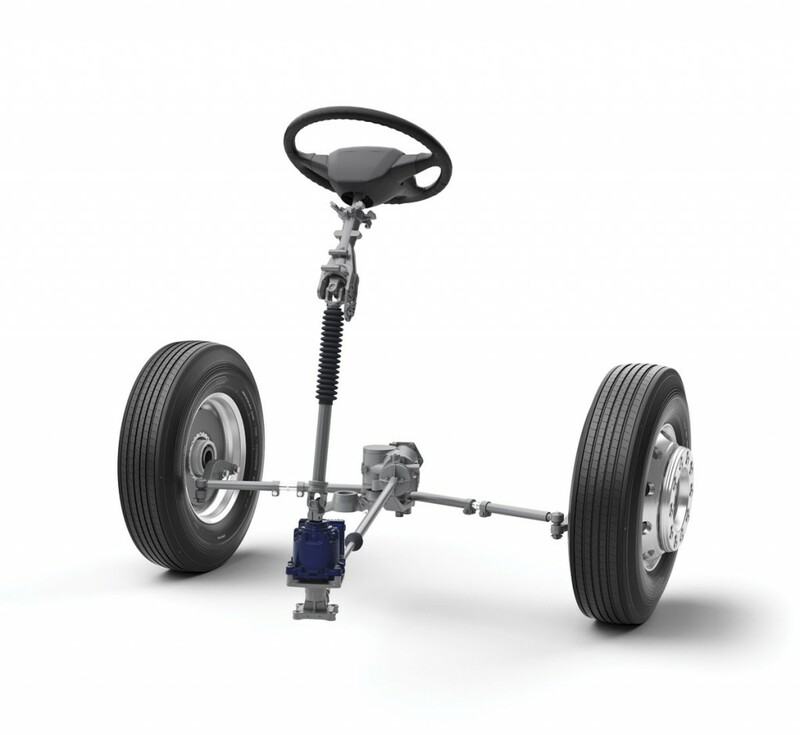 Volvo has added an electrically operated motor, attached to the steering shaft which works in tandem with the hydraulic power steering. This motor receives signals from the electronic control unit 2,000 times a second informing it of the vehicle speed, steering angle and the torque applied by the driver. From these signals, the software in it calculates the optimal level of input to deliver to assist the driver. At low speeds, and particularly during manoeuvres such as parking or reversing, the electric motor generates additional power, while at high speeds the steering is automatically regulated, compensating for irregularities which pass up to the steering wheel, from deformations in the road surface. Volvo claim that when driving at low speeds, steering wheel inertia is reduced by around 75%. The primary advantage is to the driver in reduced fatigue, but in reducing the potential for driver fatigue, as well as in the improved ride on rough surfaces, there is also a significant benefit to the passenger. 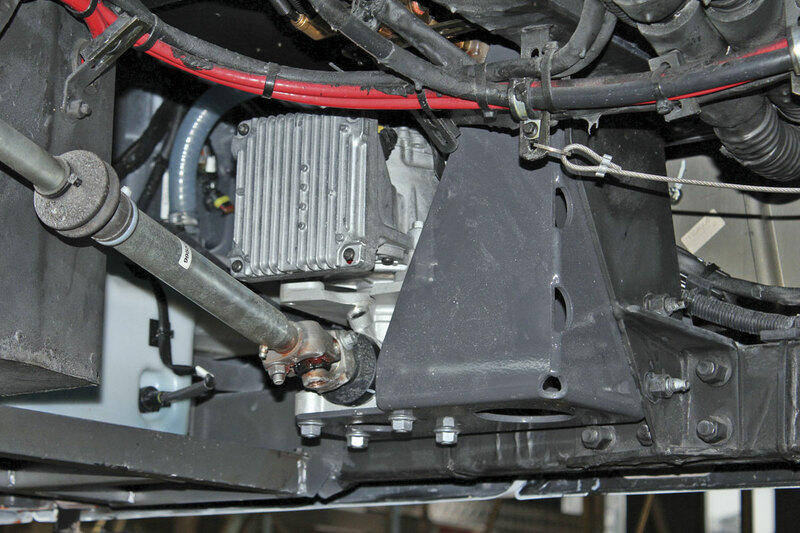 The electrical motor is supplied by CPAC, a part of Volvo that also makes drive components for Volvo Penta. It is a 23Nm unit which, as the torque needed to change lanes is around 4-5Nm, should be working well within its range. The motor senses the torque from the front wheels via the torsion bar and instantly reacts. 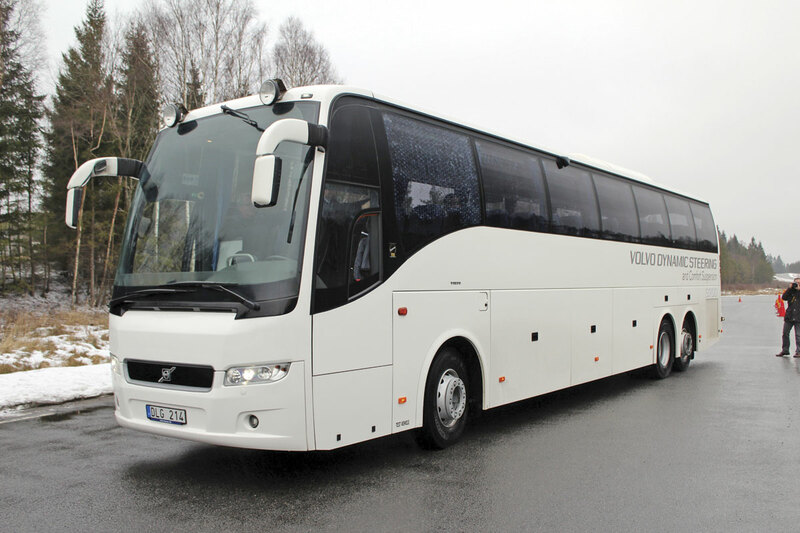 Having heard all about it we were taken to the Hällered track where five coaches had been made available for test drives and rides to demonstrate the system in action. The track provided twisting sections, cones to weave in and out of, uneven surfaces to demonstrate the ride quality and an area for reversing manoeuvres. Our first experience was of the 13.8m 9700 tri-axle coach. 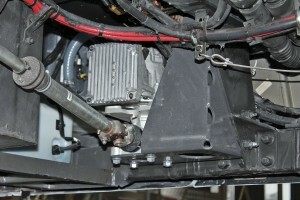 Mounted on the B11R chassis, this featured the 420hp/313kW D11K engine and Volvo’s own I-Shift transmission. This had been the prototype vehicle on which the system was developed and unlike production vehicles, had a switch that enabled the VDS system to be turned off, enabling direct comparison of the old and new steering set up. This apart, there was no visual indication within the cab that the system was fitted. It handled excellently, went exactly where you wanted it and required a minimum of pressure to move the steering wheel, which required no correction to maintain course. Threading through cones down the middle of the winding track required next to no muscle power leaving you free to concentrate on everything else. I hadn’t appreciated quite how effortless it was until the system was switched out and all of a sudden I was pulling much harder to manoeuvre. I’m not saying that it was difficult to steer in hydraulic-only mode because it wasn’t, but returning to VDS again it could literally be steered with one finger. Neither was the steering too light, it was just a very smooth and easy experience. Speeding up, the system reduced vibration through the steering wheel and remained very responsive to driver input, requiring little or no correction. 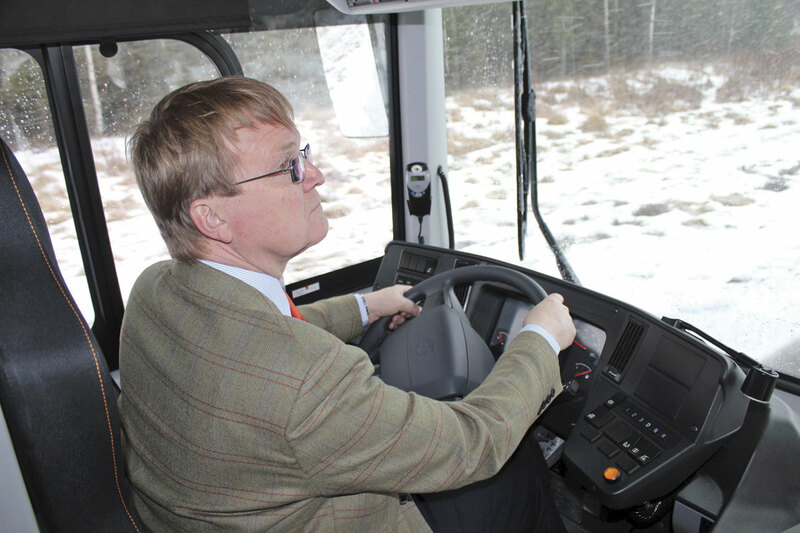 As we drove on a simulated rough section of road, Mats Nilsson, Feature Leader, Handling & Ride Comfort, Vehicle Dynamics for Volvo Bus explained that the electronic sensing system is so efficient that it actually removes all road feel. What you feel through the wheel is recreated through an algorithm that runs in the control unit. He claimed developing the feedback through the box was the most difficult aspect of the six-year development programme. I felt the effort had been successful as the essential information about the terrain was imparted without the attendant shocks through the steering wheel that you would normally encounter. Reversing the coach required only slightly more effort than going forward. Very different in character was the 7900 Hybrid. I think this is a bus already transformed at Euro6, with all the old back end vibration issues of the Euro5 bus resolved. On the test bus the diesel cutting in after periods in electric mode was extremely smooth. I found the difference between the VDS turned on and off was even more pronounced than on the previous coach. Having started in VDS, it felt heavy to drive without it and instantly effortless again when it was reinstated. It made me wonder how people coped before power steering was invented? Again the feedback through the wheel was no more than was necessary to appreciate the road conditions with quite serious undulations taken in its stride without shocks impacting on your body frame. 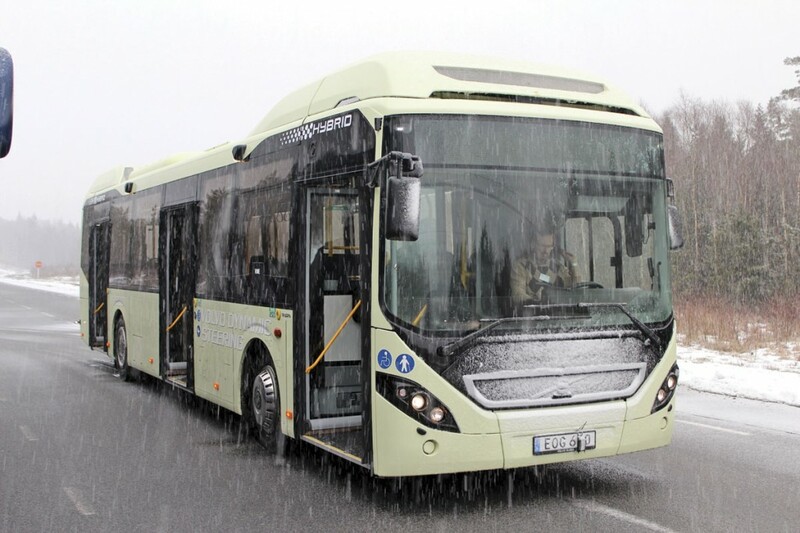 Finally, with snow falling, we tried the two axle version of the 8900 interurban step entry bus which is mounted on a B8R chassis with 320hp/240kW eight-litre engine and a ZF Ecolife six-speed fully automatic transmission. Earlier it was this bus that we had been able to see the underside of and view the positioning of the electric motor, as illustrated in the accompanying pictures. On the track it was very like the 9700 in the way the system behaved. Reversing, as it had been on the others, was completely unchallenging in the physical effort required, leaving you to concentrate on putting it in the right place. All three vehicles I drove were immediately easy to handle though I understand it generally takes a professional driver between one and one and a half days to become fully accustomed, the return force of the automatic centring system at low speeds being the biggest factor. On all versions, when the parking brake is applied the VDS system is deactivated, it only works when the vehicle is moving. This is apparently a carryover from trucks where drivers use the wheel to assist in climbing from the cab and found it tricky when the wheel did not stay in place. It also prevents heat build up in the motor and prevents battery drain. Drivers are going to appreciate this development, as it will make the demanding job they do easier. In the longer term it is another step towards achieving the completely safe driverless vehicle. That is a long way off and before that can become a reality there are a number of other potential developments of use to drivers to come. One for city buses could be precisely repeatable docking at bus stops, though this would require either sensors at stops or possibly a GPS linked system. For both buses and coaches there is the potential for an automatic parking system, as already offered on some cars, that could have safety and reduced body damage implications. When driving coaches with conventional hydraulic steering systems in the past I have rarely thought anything was wrong, and indeed it hasn’t been, but such is the difference between the old and new systems that drivers who have experienced the VDS may well become reluctant to accept less.